Smartphone penetration has reached its near ubiquity where it is now impossible to imagine the world without it. Many day-to-day tasks like banking, shopping has moved to the mobile platform making our lives extremely comfortable. No longer would you have to stand in queues to get your tasks done, instead it can be done at the touch of your smartphone. We are living in a time where mobile apps are replacing brick-and-mortar model that was prevalent for Virtual ages. What’s amazing is the quick shift from web-based applications to mobile based applications especially when the web-based applications haven’t even gone obsolete. Shifting the customer’s mindset from a web-based task to mobile tasking is a massive shift; it takes a lot of work on the company’s part to achieve this arduous shift. Games are no exception to this. When traditional games like rummy were converted to a digital web-based format, people were taking to it very kindly as the gameplay was made incredibly easy. In addition to this, there were lots of promotions offered by the rummy sites through which the customers benefitted immensely. Now most rummy sites have launched Rummy APPs for their customers and it comes as no surprise that they are proving to be an instant hit among their customers. It really begs the question, which format would be ideal to the players for an invigorating gaming session – Mobile Rummy or Web-based Rummy? Browser based rummy was a rage among the youth of India when it first hit the market. Many online rummy sites have sprung up in the recent past and they are offering different rummy games & variants 24/7. To top it, they offer many exciting contests, offers, and promotions, exclusively for their customers. 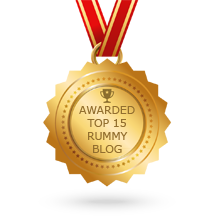 True to their passion for the game, rummy enthusiasts latched on it and now we have a big online rummy community. The migration from traditional rummy to online version was very smooth and successful. These days you no longer have to depend on your friends or visit a club to play rummy. 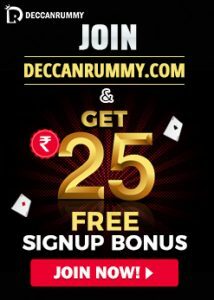 Simply join a legal rummy site of your choice and start playing. Mobile Rummy was obviously the next step. As mentioned before smartphones are considered as a handheld computer which has multiple features to run any application. Rummy sites recognized the growing trend of popular games moving towards the mobile platform and started developing mobile APP for their customers to play rummy. 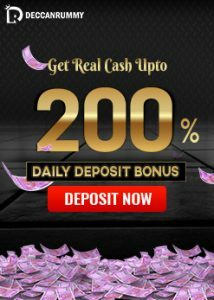 Many successful rummy sites like Deccan Rummy achieved this transition smoothly as they realize the growing concern of their customers. Now we have a stylish rummy app that leaves the other rummy sites marveling at us. The main reason for the demand for Mobile rummy these days is its portability. Unlike Web-based rummy where you have to sit in front of your PC or Laptop for hours together, smart phones allow you to play even while you’re on the move. Imagine playing rummy during travel, free time in office, or even while standing in a queue, an exciting proposition, is it not? For a seamless rummy experience, many people prefer playing rummy with a mobile APP as it offers betters clarity and visuals. Deccan Rummy Mobile APP is made using state-of-the-art technology that gives our APP a slick look. Despite money being the main reason for the users to play cash games, users aren’t going to be satisfied with a half-baked, lame mobile app without any arresting features. So, Deccan Rummy mobile APP was built with a special emphasis on aesthetics. By downloading our APP, you can play rummy with enhanced cards clarity on a mind-blowing user interface. Also, mandatory features for a rummy app like navigation, swipe, and drag-and-drop have been made very user-friendly. Once you play using our APP, we bet you are going to fall in love with its explosive features. Our Mobile APP is available on both Android and iOS platforms. Users can download the Deccan Rummy Mobile APP for android devices even from our Rummy Mobile Page in our site. Smartphones have influenced the way we live our everyday lives and even our interactions with our friends, neighbors, and relatives. In the gaming world, evolution is inevitable in this day of modern science & technology. Many games in their traditional form have been made Mobile compatible. Rummy is no exception to this transition. While it is true that browser based rummy has replaced traditional rummy, now it’s the time for Mobile Rummy to rule the reigns. Mobile-gaming Industry in India hasn’t even reached its prime yet but look at the impact it has been creating? Anyways, it is for the players to decide their best mode for playing rummy. As far as Deccan Rummy is concerned, we always have our doors open to welcome players in both these formats. It eventually boils down to a situation like whatever the mode you choose, you have to play to your merits and also follow the terms and condition of the site hosting the game. Players can refer rummy rules and how to play rummy tutorial in our site for a better understanding about the game.